Nonprofit Board Responsibilty for Social Media – What Needs To Be Done? Nonprofit Board Responsibility Social Media – What Needs To Be Done? Fully understanding strengths that the organization currently has available. It may be in terms of cloud storage assets, human assets such as an employee who, as an outside interest, really understands what is required to effectively use social media or a volunteer who is able to offer quality pro bono services. Determine how social media fits within the nonprofit’s strategy and business model. Determine the traditional “how, where and why” for social media. I can tell from the “school of hard knocks” (SHK) that there is a substantial difference between placing a message on Google, Facebook or Bing. Similarly, there are SHK lessons to be learned from trials on Twitter, Spamming or Blogging. 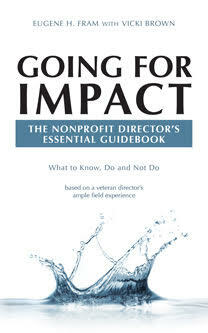 Often a young intern can assist the nonprofit in acquiring this knowledge and avoiding failure. Map the nonprofit’s key performance indicators and risk factors to information available through social media. Returns from social media efforts usually are not very rapid. My SHK experiences shows that it may take a year or more to develop a following that makes sense to the nonprofit’s mission. Learning curves can be vey long. With many trials, the nonprofit will need to use imperfect metrics** as performance indicators. In the meantime, what are the risks of not utilizing more traditional venues to achieve performance goals? Implement a “listening” system to capture data. At the least, the nonprofit need to have a “Google Alert” to track Internet comments about the nonprofit’s activities and personnel. It is also inexpensive to have similar alerts to track the Internet comments about other local and nationally leading nonprofits. Develop formal board polices and guidelines, executives and directors. At this point in the social media development process, it is hard to anticipate all a nonprofit’s policies that will be needed in the next three to five years. But the board of directors must act soon on issues such as privacy; use of the nonprofit’s accounts, and controlling social media expenditures. The need for additional polices and guidelines must be reviewed annually. Also at this point, the social media topic is so interesting that board need to remember much of social media activity and review should be delegated to management with sufficient board overview. Boards need to become alert to their responsibilities in this new arena and not become involved with the “paper clips” of social media. Consider the legal and behavioral ramifications. The board of directors must become aware of any personal or organizational liabilities that can arise though the increased use of social media. In addition, management must be on the lookout for frivolous or unlawful use of the tools. ** Jerry Talley & Eugene Fram (2010), “Using Imperfect Metrics Well: Tracking Progress & Driving Change, Leader to Leader, winter, pp.52-58. ← Nonprofits: To Which Group Do You Belong – The 5% Having Successful Strategies or the 70% Who Do Not?